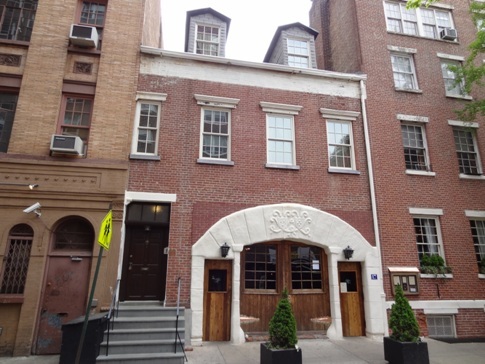 Ghosts are livelier than the music at romantic West Village restaurant. The romantic interior of One If by Land, Two If by Sea. One If by Land, Two If by Sea is an elegant restaurant located in the heart of the West Village, long “recognized for its classic menu […] and beautiful décor.”1 But behind its handsome veneer lurks a dark past: prostitution, mysterious disappearances, and gruesome deaths are among the nasty things that are tied to its history. 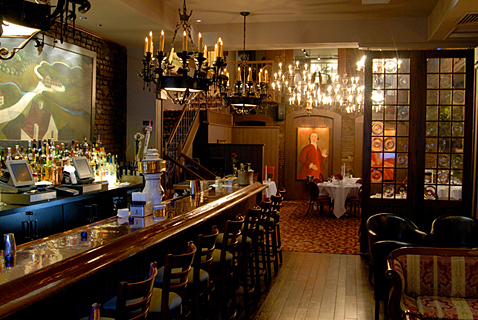 In fact, a total of twenty ghosts are believed to haunt the bistro. And these spirits are less than friendly towards diners and staff. One maitre d resigned, for instance, “after being shoved up and down the stairs every night by invisible hands”2. So if you prefer your Wellington burger “with a side of poltergeist”3, a meal at the restaurant is sure to satisfy. One If by Land, Two If by Sea started out as a carriage house that was built in 1767. During the 1790s, Aaron Burr kept his horses there and also took up residency with his daughter, Theodosia. 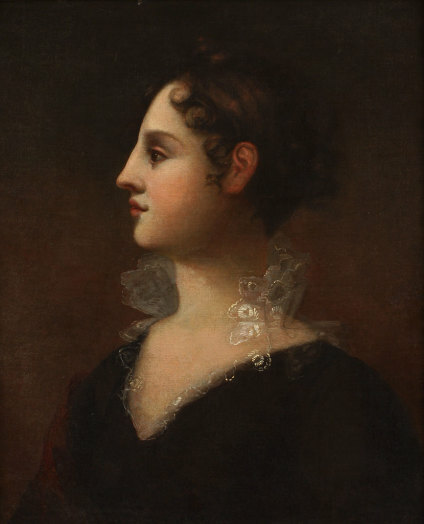 Burr’s wife, Theodosia Bartow Prevost, had previously died due to “longstanding health problems”4, leaving the widowed Burr to raise their child. Theodosia thus became the light of his life. He considered her well being an utmost priority and spent much of his time with her. However, terrible rumors began to spread around the city, regarding the intimacy of their relationship. In fact, many claim that the famous duel between Burr and Alexander Hamilton started because of such gossip. Both men had been defaming each other’s characters for several years, but comments questioning his closeness with his daughter seemed to especially infuriate Burr. Thus, on July 11, 1804, he and Hamilton arranged to meet outside Weehawken, New Jersey, to engage in a shoot-off. The historic Burr-Hamilton duel resulted in Hamilton’s death, as well as Burr’s political downfall. Much of his property, including his beloved carriage house, was taken away from him. Once taken out of Burr’s hands, the structure became an engine house for the fire station located next door. Greenwich was quickly transforming from a slum to an up-and-coming neighborhood. Thus, the city sold the carriage house in the late 1890s, and its new owner transformed it into a brothel and saloon. Its discreet location made it the perfect place for nocturnal New Yorkers to engage in some inebriated mischief. The building itself had secretive features, including a hidden, stone-lined passageway that ran to what was once the shore of the Hudson River. Some believe that it was used to sneak in illegal goods, or Revolutionary War soldiers. It could have also served as an underground railroad for runaway slaves. The owners of One If by Land, Two If by Sea kept much of the carriage house’s original elements well intact, including hand-made horseshoes, antique bottles, and a hitching post. Of course, modern furnishings were added, including fireplaces, a wine cellar and a baby grand piano, such that the building was transformed into a true romantic restaurant. 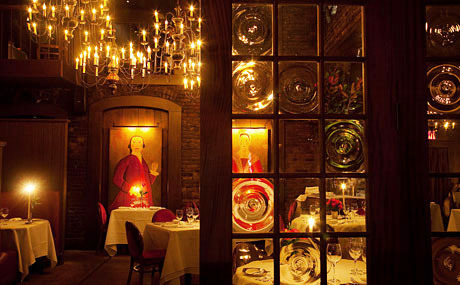 The dining room of the restaurant oozes romance. 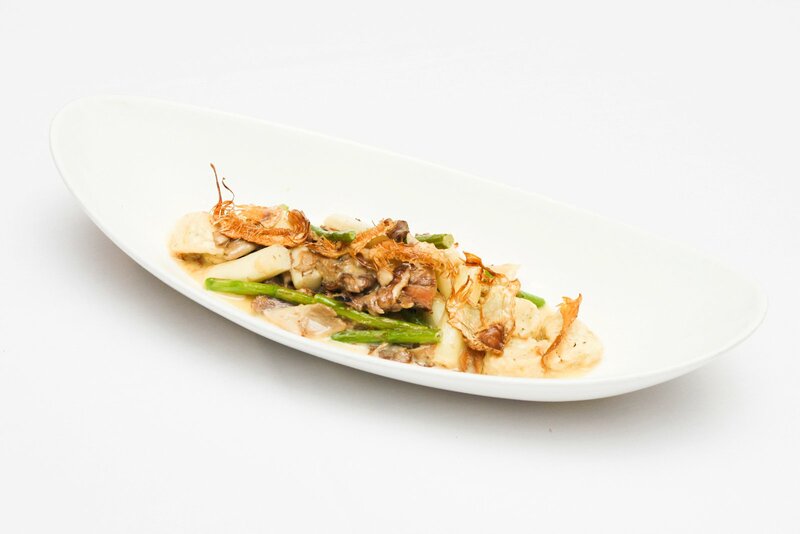 Hand Shaped Parmesan Gnocchi with Morels, Ramps, Fava Beans. But no one ever dines alone at One If by Land, Two If by Sea. Many who have sat at this romantic hideaway’s candlelit tables have experienced some sort of paranormal activity. “Staff members and diners alike have reported strange incidents, including lights flickering, patrons being shoved by spirits, and the earrings of women sitting at the bar repeatedly disappearing.”7 Pictures and paintings also often vanish or fall of the restaurant’s walls8 for no reason. Theodosia Burr Alston, beloved daughter of Aaron Burr. 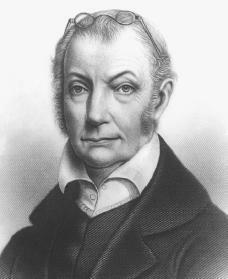 Others, including Aaron Burr, insist that the ship’s vanishing had nothing to do with buccaneers and pillagers – instead, it had merely sunk due to a severe storm. But Theodosia’s 1813 disappearance went unexplained, leaving her father feeling as if he’d been “severed from the human race.”10 Although he remarried again in 1833 (to a wealth widow named Eliza Jumel), he never was able to fill the hole left by Theosdosia. Indeed, after his duel with Hamilton, Burr’s luck and power seemed to run out. He and Eliza separated after merely four months of marriage, then he was hit by a debilitating stroke in 1834. Burr passed away in a Staten Island boardinghouse in 1836. He could now be reunited with his beloved daughter. The two are often spotted at One If by Land, Two If by Sea, in the restaurant’s mezzanine. The ghosts of Burr and Theodosia both like to make their presence known at One If by Land, Two If by Sea. “Burr’s ghost is said to throw and break plates”11, while Theodosia is rumored to enjoy swiping earrings from unsuspecting female diners. Guests have also seen her walking up and down the restaurant’s stairs. Ghosts lurk behind the restaurant’s elegance. So whether you’re planning to pop the question, or looking to share a meal with spirits, stop by One If by Land, Two If by Sea. No other restaurant in the city is both haunted, and AAA four diamond-rated. You just might find yourself face-to-face with the apparition of one of the most famous political figures in history! “Our Story.” About. One if by Land, Two if by Sea, 2015. Web. 28 November 2015. Para. 1. “Haunted One if by Land, Two if by Sea.” Finding Dulcinea, 2015. Web. 28 November 2015. Para. 6. Cosme, Shanté and Joe Flemomg. “10 Places in NYC That Are Definitely Haunted.” Complex.com. 14 October 2012. Web. 28 November 2015. Para. 15. “Theodosia Prevost and Aaron Burr.” The Prevost Family. The Hermitage Museum, n.d. Web. 28 November 2015. Para. 20. “One if by Land Two if by Sea. Paul Revere Heritage Project. 2007. Web. 28 November 2015. Para 1. “Our Story.” About. One if by Land, Two if by Sea, 2015. Web. 28 November 2015. Para. 3. Kusnyer, Laura. “haunted new york.” NYCgo.com. 26 October 2010. Web. 28 November 2015. Cote, Richard N. Theodosia Burr Alston: Portrait of a Prodigy. Mt. Pleasant: Corinthian Books, 2002. Page 291. “Aaron Burr.” People & Events. Pbs.org, 2000. Web. 28 November 2015. Para. 17. “New York City’s Ghostly hangouts.” National Paranormal Association. 13 January 2013. Web. 28 November 2015. Para. 7. Papadopoulos, Madina. “3 Haunted New York Bars for a Real-Life Fright This Halloween.” Gotham Magazine. 16 October 2015. Web. 28 November 2015. Para. 2. “One If by Land, Two If by Sea Haunted?” HauntedRooms.com, 2015. Web. 28 November 2015. Para. 5. Musto, Marisa. 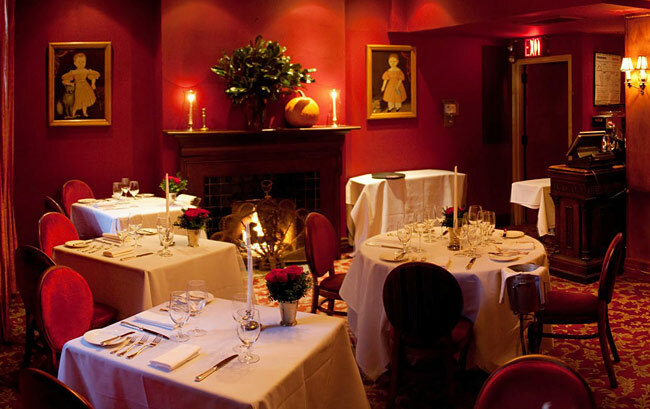 “NYC’s Diamond-Rated, Haunted Restaurant.” AAA Today. 29 October 2015. Web. 28 November 2015. Para. 6.